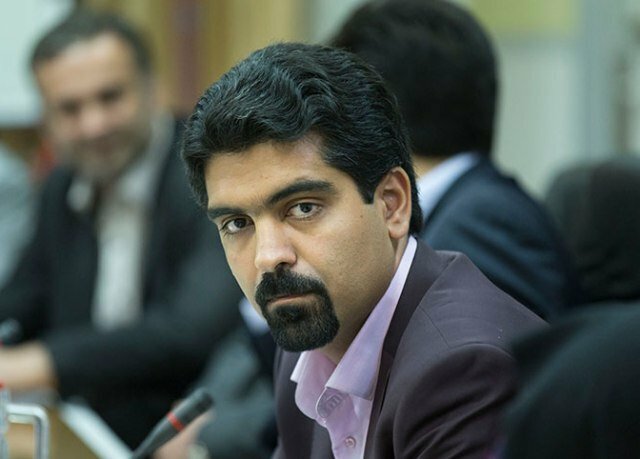 The suspension of Sepanta Niknam, the Zoroastrian Yazd City Councillor by the Administrative Court of Justice has sparked outrage amongst his peers and the public. A defeated hardliner candidate of the municipal elections has targeted Niknam for not being Muslim and has argued non-Muslims cannot run for office in a Muslim majority country. Controversy against Speanta Niknam serving in Yazd City Council was originally sparked in the fourth session of the council by a former Councillor, Mohammad Mehdi Horzadeh who insisted that it is not acceptable for non-Muslims to lead Muslims. Head of Yazd City Council, Gholamali Sefid has taken a strong stance against the order announcing that he and his council are behind Niknam and will not allow a people’s elected councillor be expelled. Sefid has stressed that as long as he sits at the head of the council he will not allow this order to take effect. Sefid’s statements has drawn widespread support from the public in social media. A video clip of his statements has been circling social media with widespread comments applauding his integrity. Sepanta Niknam has expressed complete confidence in the support of the citizens of Yazd and warned those who are trying to eliminate him from council for discriminatory reasons against his religion are attacking “national and public interest”. He added that the people’s vote for him is clear evidence that there are no discriminatory motivations based on religion among the Muslim and Zoroastrian citizens of Yazd. He also warns of the negative reflection of such a suspension on the country’s national and international image. Niknam has been suspended in the basis of a complaint filed by a defeated candidate of the municipal elections. He has based his complaint on a recent statement by the head of the Guardian Council that overlooks candidate eligibility. Ahmad Jannati has been quoted as saying that the late founder of the Islamic Republic Ayatollah Khomeini had said that “individuals has to be primarily Muslim and secondly committed to the Revolution” and “those who are not Muslims “could form council of their own”. These statements have been received with widespread criticism; however, the conservative factions of the establishment stress that in Shia regions of the country, ineligibility of non-Muslim candidates is by no means against the constitution. The Islamic Republic of Iran constitution recognizes the right of religious minorities “(Zoroastrian, Jew and Christian)” to practice their own religion however the language on the right to be elected for public office is not clear. Iranian parliament has members of religious minorities; however, they represent the interests of their religious groups in parliament.